“Insurance M&A – the technology factor" - how technology makes the difference between success and failure. “Insurance M&A – the technology factor” – how technology makes the difference between success and failure. M&A has become a common path to growth in the insurance industry. Since January of 2018, there have been 257 deals announced in the insurance sector, collectively valued at more than $26 billion according to a recent report by PwC. Post-deal, there is pressure for business leaders to achieve success as quickly as possible, with Board members expecting big returns on their investment almost immediately. One important part of the mix is technology, which can help to overcome many of the challenges caused by M&A, particularly in insurance. 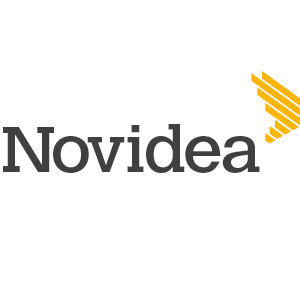 Novidea has published a comprehensive new whitepaper that explores technology’s role in successful insurance mergers and acquisitions. The paper explores how technology can help address some of the main concerns common to most business integrations, such as how to get to grips quickly with the new business so that informed decisions can be made; how to deliver increased revenue and profit from the combined business; and how to lay a firm foundation for future business growth. Making a success of a merger or acquisition isn’t straightforward. 6. keep the shareholders and customers happy during the entire integration process. While none of these challenges are straightforward to overcome, technology has a crucial role in helping address all. Your strategic reasons for making the acquisition, along with synergies that underpinned the financial value of the deal, should be framed as specific integration objectives. Make sure everyone knows what they are and regularly issue key performance indicators that show progress. Use input from the best qualified staff to create a credible integration plan, focusing initially on the first 100 days. Some of the objectives you set yourself can be complicated to deliver and beyond the capability of your current technology. Consider a move to a modern brokerage system that integrates front and back office processes, enables data to be leveraged across all businesses and which is based on an architecture that will grow with your business. Data is the hidden value that can power an acquisition to success. Real-time, actionable intelligence helps you find sales opportunities, and customer intelligence gives you deep insight to the makeup of your book and where to apply resources for best effect. Take the necessary steps to put data at the heart of your business and change your business processes to take full advantage. With so many integration challenges it’s easy to forget about the day-to-day business of looking after customers and revenue can suffer. Use forecasting dashboards to monitor revenue specific KPIs to make sure acquisition synergies are on-track. Add to existing revenue by organizing and ruthlessly executing up-sell and cross-sell campaigns. Not all customers are equal. Use analytics to calculate customer profitability and identify underperforming accounts, prioritize customers for acquisition and retention and select priorities for cross or up-sell. Optimization of resource allocation enables the business to get the best from their employees. Getting a firm handle on where costs are being incurred – sales, back office, customer service – is important. In a similar way to managing revenue, set and monitor key performance indicators. And use benchmarking to see how the newly acquired business is performing by measuring it against the other businesses in your portfolio – understand what is good and why? Finally, don’t forget about the customer. Letting them self-serve basic functions e.g. quote and bind, claims notifications, policy retrieval etc. will help them, take the pressure off your team and leave your staff with more time to focus on the higher value activities that contribute to the top and bottom line. Technology isn’t the answer to everything, but if planned carefully and used properly, it can make the difference between failure and success. To read the complete whitepaper, download it here.